If the thought of chocolate candies and roses sounds so hum drum to you, we’ve come up with 10 fun and flirty Valentine’s Day things to do with your significant other or date, that will make it an evening to remember. 1. Take a Dance Class. Dancing to Tango music can be very romantic. Dress up for the occasion and find a class near you. If Tango isn’t your style, try salsa or hip-hop as an alternative. It will get your body moving and can get you in the mood for a romantic and memorable evening. 2. Book His-and-Her Massages. Having warm oil rubbed on your body is surely a treat. If your relationship hasn’t moved in that direction yet, book Swedish massages for the two of you in separate rooms, so you both can enjoy the experience and compare notes afterwards. 3. Create a Digital Scavenger Hunt. We know you’re attached to your mobile phones and tablets, so create a little mystery with your very own personalized scavenger hunt. Not sure where to start? 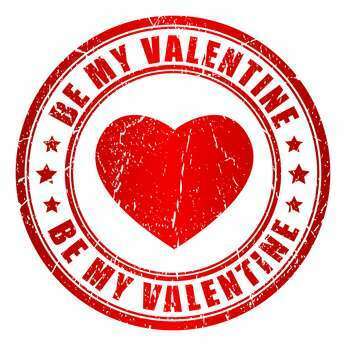 Begin the day with a text message saying “Happy Valentine’s Day” along with the first clue. When she arrives at the destination, send her a second clue requesting a Skype or FaceTime chat where you can wish each other a Happy Valentine’s Day, video style. Third, send another text message on where you’d like her to go next. Have her pampered with a manicure or pedicure to get ready for your big date night. Fourth, at the end of the day, post an e-card greeting on her Facebook page for her and her friends to ‘like.’ Finally, send her a digital invitation with the exact location for your Valentine’s date. Remember to take photos along the way and share them on your Facebook, Pinterest, or Instagram accounts. 4. Skate Away. Whether it’s ice-skating or roller-skating, take your valentine to the closest rink in town. You’ll find yourselves reminiscing about your childhood while you get a little physical activity. Remember to catch her if she falls. 5.Enjoy In-Room Dining. If you’ve waited until the last minute and realize that his or her favorite restaurant is already booked, pretend you’re on vacation and opt for an in-room dining alternative. Let her know that you’ll be bringing the appetizers and main course. Allow her to contribute the dessert to the menu. Create great ambiance with candles, music, and perhaps a bouquet of red tulips if roses aren’t in your budget. 6. Make it About Music. Find out if your date’s favorite band will be playing in town and surprise him or her with tickets to the show. At the end of the show, give your date a music CD so you can memorialize Valentine’s long after the date is over. 7. Go to a Wine Tasting. Many local wine bars allow you to stop by and taste several options before deciding on your favorite selection. Take your date to a location where you both can get a wine card for samples and compare notes. At the end of the night, buy him or her his favorite bottle for a future date on the calendar. 8. Take a Cooking Class. Men actually do enjoy being in the kitchen. Take him to a cooking class, where the two of you can whip up a spicy meal. Find a place to go for dessert together, with your menus in hand. 9. Go to a Fortune Teller. Does he love me, does he not? Go to a fortune teller with your Valentine and see what the future will hold. Don’t worry, you don’t need to kiss-and-tell. 10. Go to an Amusement Park. Riding the Ferris wheel can be very romantic, especially when it stops and you’re feeling like you’re on top of the world. Remember to kiss your Valentine when you’re staring at the stars together. How will you be celebrating Valentine’s Day this year? Julie Spira is America’s Top Online Dating Expert and bestselling author of The Perils of Cyber-Dating. She creates Irresistible Profiles for singles on the dating scene. For more dating advice sign up for the Weekly Flirt newsletter, follow @JulieSpira on Twitter, Instagram, and on Facebook. Filed Under Cyber Dating, Ready for a Hot Date?